OnGuard is a unique blend of phosphorous, chelated manganese, chelated zinc, and chelated copper. 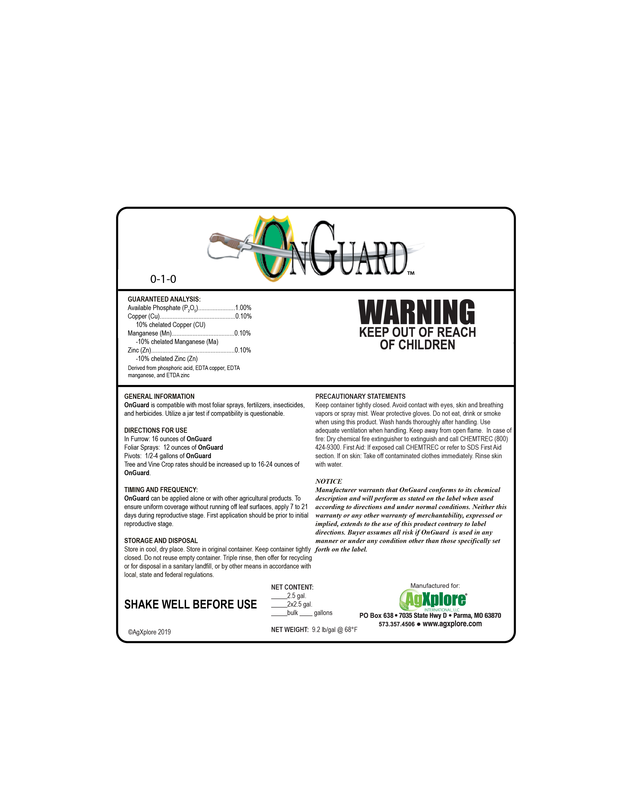 OnGuard can be applied, in furrow, foliar, or in pivots. It is formulated for row crops, trees and vines or where micronutrients would be beneficial.